I am writing about Microtel Palawan Hotel not because I, or we, have stayed there, which I really would love to, but because of the other fun side of it. We live here in Puerto Princesa City. 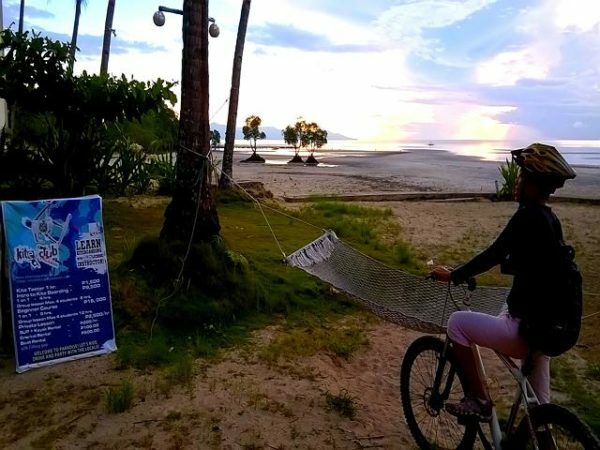 Microtel beach front is one of our bike ride destinations. It sets beside Emerald Playa Beach and Nature Park who also happens to host a local kite surfing club of Palawan. 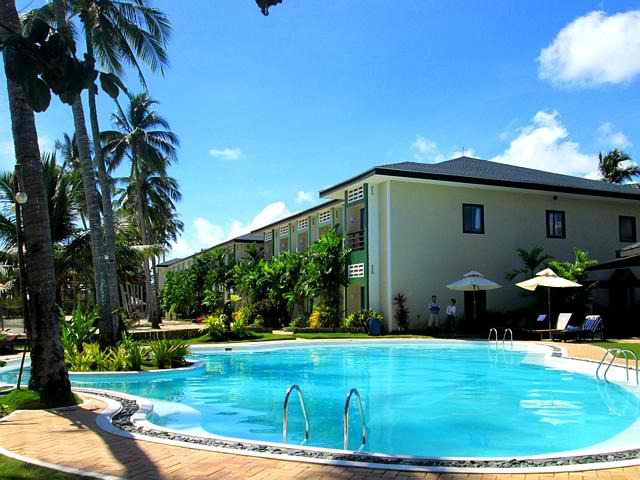 It’s like, Microtel offers the accommodations and Emerald Playa Beach and Nature Park extends the beach resort activities. Like beach side weddings, birthdays and other party occasions to everyday beach picnic activities. 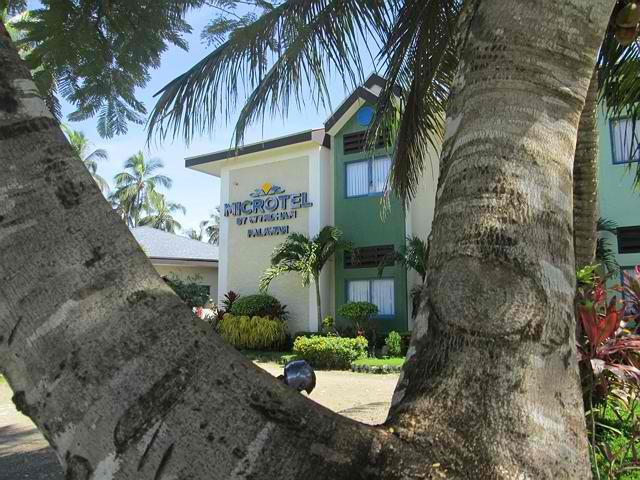 Microtel, 7 kilometers from Puerto Princesa City Airport, is the only beachfront hotel in Puerto Princesa Honda Bay area, with dazzling waterfront views at any time of the day. The hotel offers 50 air-conditioned rooms and suites featuring cool color combination, a relaxing effect in a tropical setting. 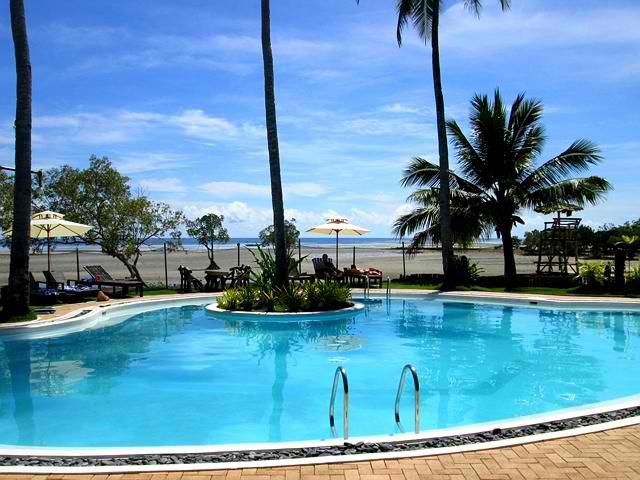 They also have swimming pool, restaurant and some water sports facilities and activities. This activity is being hosted by Emerald Playa with Kite Club Palawan. 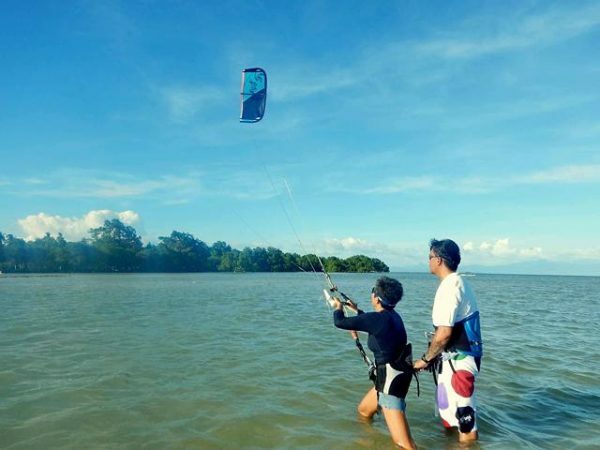 Last Amihan, North Wind, Season, in March 2014, the Kite Club hosted an international kitesurfing competition. Swimming for us at the Microtel beachfront is to look for spots without sea grasses and just stay on the sides of it with our goggles to watch some colorful and weird marine life. It’s much enjoyable to really swim when its high tide. If you’re curious enough to see more of the wide open Honda bay area enjoy kayaking. Get your muscles tuned up from rowing, bask in sun, and discover more reefs to snorkel on. Like some guys we saw enjoying the heat of the sun hanging loose and fancy free. Only during weekdays, please, when there’s not much people around. Sorry got no pictures! Or, if in love, You can have the hotel management or Emerald Playa plan your beachfront wedding. Or, meeting interesting people doing some digging at the beach looking for bait. 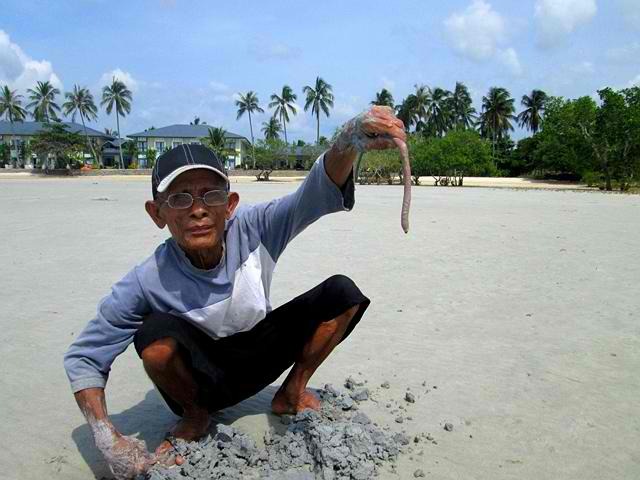 Man digging Wakwak, some kind of Sand Worm, for bait. Or, just like what we do, riding our bikes on ordinary days and just be there to watch the scenery. The hotel’s beachfront area is facing east so we figure there is a nice sunrise to enjoy in that other fun side of Microtel Palawan.